Scope and Content Church, Craig Dunain Hospital, Leachkin Road, Inverness, Highland (now closed) The church, designed by W W Mitchell of the architectural firm, Alexander Ross & Son, was built in 1961-3 in a pleasant setting to the north-east of the main hospital. It was designed in a very simple style like a hall, with dry-dashed walls and artificial stone dressings, and could accommodate 300 patients and staff. It has a small chancel (left) and a large Neo-Georgian birdcage bellcote. The spiritual welfare of the patients at the asylum was originally provided by a small chapel on the upper floor of the central section of the main hospital building. Unfortunately, by 1892 the number of patients at the hospital had increased to such an extent that it was necessary to convert the chapel into dormitory accommodation. For the next 70 years patients used alternative accommodation for their religious services - first, the dining hall, which proved inconvenient due to bad acoustics and distracting noises from the adjacent kitchen. 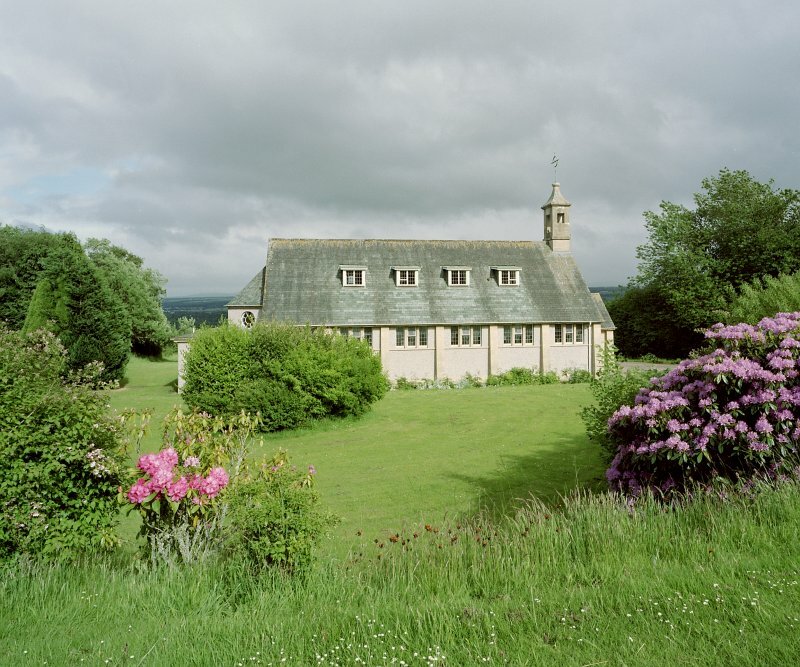 The Sunday services were transferred to the new recreation hall when it opened in 1927, but strong views were held by many patients and staff about the unsuitability of using the same building for both religious and secular purposes. In 1961 sufficient funds were available for building a separate church and the new inter-denominational church building opened in 1963. The new church 'enabled the patients to feel that they were going to church in the same way as they were accustomed to do from their own homes'. Craig Dunain Hospital, designed by the Aberdeen architect, James Matthews (1808-98), opened in 1864 as the Northern Counties District Lunatic Asylum with accommodation for 250-300 patients in single rooms. It was the third District Asylum to be built in Scotland, and occupies a splendid hillside site above Inverness. Additions were made in 1898-1901 to include male and female wards, and further expansion in the 1920s saw the construction of a recreation hall. The last major building scheme before the hospital closed in 2000 included the construction of a new chapel which was completed in 1963. Source: RCAHMS contribution to SCRAN.